When you’re suffering from chronic pain, you can’t waste time and energy on treatments that don’t work. You need therapy that will last. Peak Performance offers premier physical therapy services in Baton Rouge. One of the specialized treatments we offer is Trigger Point Dry Needling, which is known to relieve pain and stiffness in muscles. Many would argue that acupuncture does the same thing. We agree that these treatments are similar, however, there are some key distinctions that we’ll explain below. While similar, acupuncture and dry needling do have a few alterations between the two. These differences can mean a world of difference to your pain relief! Acupuncture is a traditional Chinese practice. Extensive studies and research have taken place and have proved the practice to be safe. But what exactly is acupuncture? Thin needles are inserted into the body with the intent to balance out the body’s energy. However, despite being an old practice, there is no solid evidence of effectiveness. Research suggests that acupuncture can help relieve chronic pain and other similar ailments. But this research is conflicting. Dry needling also utilizes needles and is used to treat pain and stiffness. However, unlike acupuncture, we place the needles into pressure points to help the muscles relax. This releases tension and improves the flexibility of the limbs. While the dry needling practice is newer, the studies have more solid support. Since the practice is relatively new, it’s normal to question your therapist’s skills. You don’t need to worry when you come to Peak Performance. In Louisiana, physical therapists can’t perform local dry needling without dedication to its proper practice. 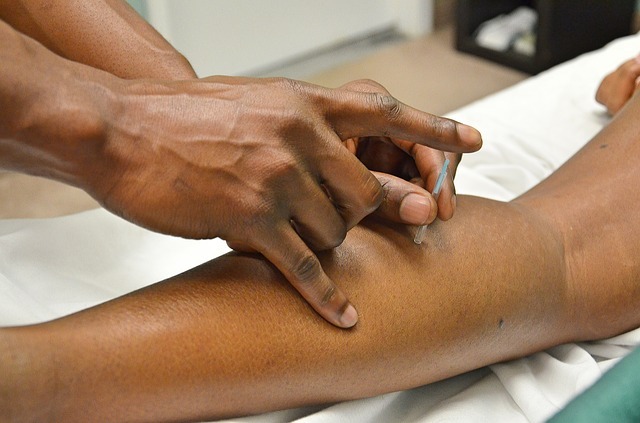 Before they’re allowed to perform dry needling, physical therapists undergo hours of face-to-face instruction and study of the skill, and first receive a Level 1 certification. On the path to level 2, a therapist must have over 200 hours of practice before moving forward. This ensures that they know exactly what they’re doing before they perform it on their own. Local dry needling is never a shot in the dark. Because of the demand, Peak Performance always ensures that we have more than enough staff on hand that can perform this task. In Need Of Local Dry Needling? Peak Performance is your source for local dry needling. We have seven locations that offer local dry needling, so stop by the one that is most convenient for you. Our Baton Rouge locations include Industriplex, Perkins, Mid-City, and Monterrey. Our other locations can be found in Denham Springs, Brusly/Port Allen, and Geismar/Dutchtown. Most of our locations open around 7 a.m., but check your specific location before making your appointment. All locations are open Monday through Friday and the Mid-City clinic has Saturday morning hours. Peak Performance accepts most major insurances. Still not sure if you will be covered? You can check out our website to see if your insurance is covered. Feel free to reach out to us if you have any questions! You can use our online form or visit our locations page. Whether you’re suffering from chronic pain or an ailment, local dry needling might be just what you need. Request an appointment today!